It’s International Women’s Day. Go women! More than half a billion women have joined the world’s labor force over the past 30 years, and women now account for more than 40 percent of workers worldwide (IMF, 2012). When a mother has control over her family’s money in the world’s poorest countries, her children are 20% more likely to survive (Melinda Gates). Women have come so far in the last fifty years! It is amazing. However, in the areas of financial literacy and business development, we still have a ways to go. Chelsea from MamaFishSaves (who supplied the above facts) has challenged female bloggers to write about the absolutely best ways they know of to help women improve their finances and achieve success. If there was ONE THING I’d like to challenge all my female friends to do, it’s to figure out your worth! It means learning how your family’s spending, saving, and investing work. It means taking the time to figure out your family’s total net worth–what you own minus what you owe. Even if that number is negative. Because knowledge is power, ladies. Knowing your family’s financial position in the form of your net worth number will give you so much information about how you can help your family. It’s one of the most important first steps I know of. And tracking is powerful. The first year we started tracking our spending and net worth, we saved over $11,000 without even trying! Now, obviously your net worth doesn’t represent your worth as a human being or an amazing female, as you inevitably make a difference in a thousand different ways for a thousand different people. But knowing your net worth empowers you in so many ways, to help you improve your financial standing and ultimately, worry less about money. So if you’re reading this, and you’re female, I’m going to challenge you to improve your financial knowledge with this fun little assignment. Okay, I lied. It’s not fun. It can be fun. But it can also be scary and overwhelming. 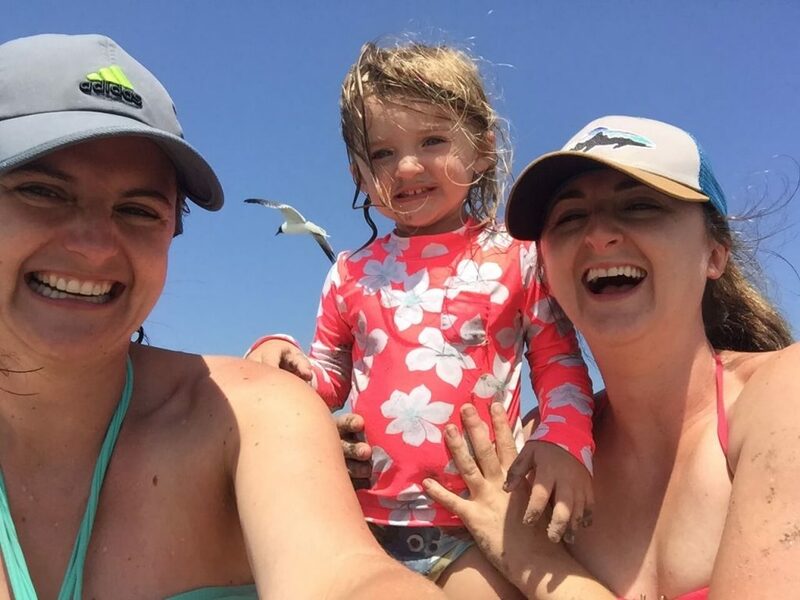 Do this for the women in your life–to be a good role model, a good money steward, and more in control of your family’s finances. But, you know how you schedule that appointment with your gynecologist every year because your gynecological health is really important? Well, your financial health is important too. Really important. So do this! You can do it!! The very best way I know how to get started with learning more about your family’s finances is to figure out your net worth. DO THIS! It will take you about an hour, if you have all your passwords and statements at hand, so dedicate one hour of your life to learning this most important number! (How long do you spend at your annual you-know-what checkup? Yep, I thought so). It’s a relatively straight-forward process, but it can be somewhat painful emotionally. That’s because the unknown is scary. “Do we have debt? Do we have a lot of debt? What if we have a negative net worth? What if our net worth is really minuscule for our age?” These are all valid concerns, because they could be your reality. But they’re still your reality regardless of whether you know about them, so it’s better to know the truth and be empowered than to live in ignorance and fear. Remember, the truth will set you free!! If you know absolutely nothing about your family’s financials, grab the person who does and ask them to give you websites, usernames, and passwords for all your bank accounts, credit cards, and investing sites. Online banking has made this a lot easier than it used to be! total $$ in your 401k and/or your partner’s 401k (or other retirement accounts that could be called IRAs, Roth IRAs, i401ks, SEPs, 403bs). These are your assets. The things you have that are worth money. These are your liabilities. They are the things you have that you owe money on. The difference between your assets and your liabilities is your net worth. If that number is positive, hoorah! Now you can work on helping your family pay down debt if you have any and building that number up even higher! Heck, you may even get attached to checking your net worth every year, or quarter, or month, to see how it’s growing. If that number is negative, that’s okay. At least you know what it is, and you can work from there to improve that number, and get it as close to zero as you can. For some real-world tips on how we got from -$38,000 to $0 (and beyond! ), check out our ultimate guide to getting out of debt. Are you a money novice? Somewhat schooled in financial stuff? An expert? Check out the brand new site Women and Money for useful articles to help out whatever your financial IQ. Would you like more inspiration for finances? Check out these articles from other savvy female financial bloggers writing about financial matters for women. Did you complete the assignment? I’m so proud of you! 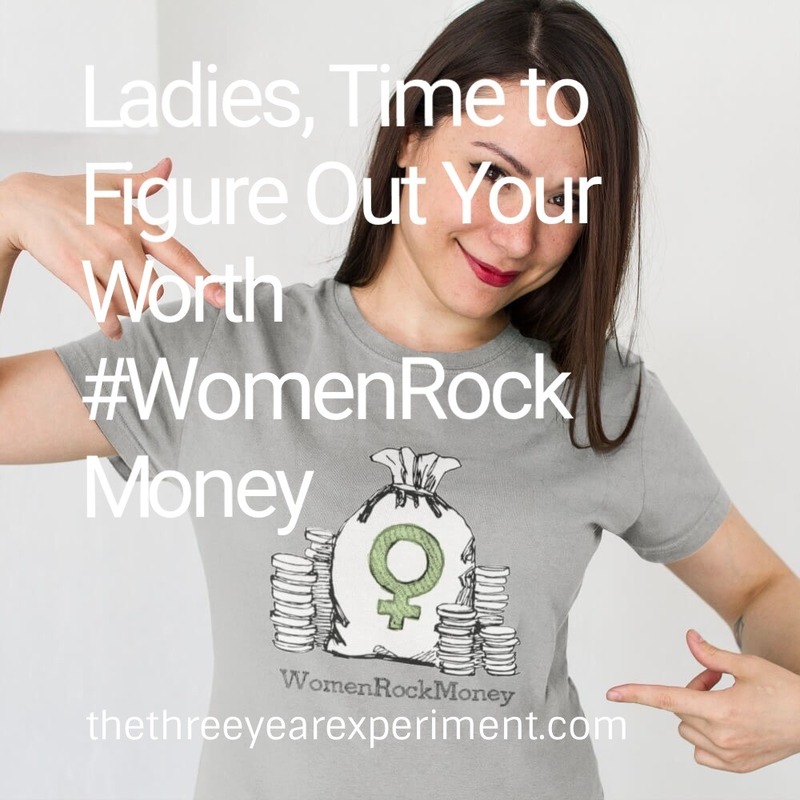 Share your win with the hashtag #WomenRockMoney. And make sure to let me know in the comments section! Every adult woman should do this! Knowledge is power! Calculating net worth is an excellent way to get a quick “financial snapshot”… what great advice to share today! Even though I had an idea of what my husband and I had out there in our various accounts or debts, pulling it all together to see our net worth gave me a knowledge base and the confidence to start making moves to improve our finances. Happy International Women’s Day, Laurie! Thanks! It was the same for me. It’s amazing how knowing the actual number, and not just what you think it is empowers you to take action. I’ve calculated my net worth regularly for about 20 years now, and it certainly has been instrumental in helping us to succeed financially. Knowing where we stand, even when the numbers go down or don’t tell the story I would want, gives me the knowledge to make changes and control my financial destiny. Love it! Wow! Twenty years. That is amazing. We have come a long way haven’t we?! 🙂 Just half a lifetime ago, it was still mostly headed by men. “US women have less than one-third the household savings of men and are 80% more likely to live in poverty at age 65 and over.” that is heartbreaking!!! I blame a lot of it on gender wage discrepancies because though getting smaller – they add up a lot over time. I think it’s important to pay attention to how far we’ve come, for sure. 🙂 But as to pay discrepancy: yes and apparently a lot of it comes from women taking time off to stay home with kids for a couple of years. And by the time they go back to work, they’ve missed a lot of the pay bumps their male peers have received. So, we need to do something about that! Better/more affordable childcare, paid leave, dads staying home… something! Oh Yes! Knowing your net worth can be a real game changer. Calculating ours the first time really helped us get on the right track.I now keep track of mine on Personal Capital and record it monthly in Excel. Thanks for mentioning the new site. Vicki and I are thrilled to have you on the team! I’m bad for doing my net worth calculations on a regular basis. I also get a case of self-doubt thinking I should be farther ahead than I am but often that’s because I’m comparing myself to others who are on a very different track. It is important though, and a good way to make sure you’re keeping up with your goals and, while it can be daunting, it can also be super motivating. Thanks, Peti! 🙂 Excellent point–looking at our total net worth made me feel much better about our total efforts. It also helps to keep you from getting tunnel vision with your financial efforts. Those numbers are still so staggering. It will be interesting to see what the statistics look like in another 10-20 years. Hopefully a LOT better as we continue to talk about it. I agree, Angela!! Talking about it and actively working to make things better is hugely important.